Categories: Bible Study Booklets, Revised Common Lectionary Bible Study. The Revised Common Lectionary Bible Study is designed for personal or group study of the weekly Bible Scriptures using the lectionary readings that are common in many churches. These are quarterly, three-month booklets. 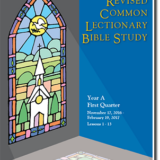 The Revised Common Lectionary Bible Study is a workbook designed for personal or group study of the weekly Bible Scriptures using the lectionary readings that are common in many churches. Booklets measure 8.5" x 11" and contain approximately 60 pages. 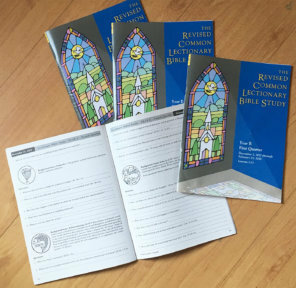 One booklet is required for each Bible Study participant, and includes scripture references, personal guides for further study. 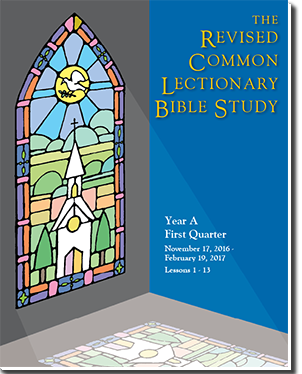 One booklet of the quarterly (13-week) Revised Common Lectionary Bible Study. Four books make up a single year, which can be ordered by a subscription (see “Yearly Subscription” on Products page). We will send you the next quarter after your order, unless specify a particular quarter. Subscribe to our newsletter and get Bible help, information and events news. We keep your information is private!